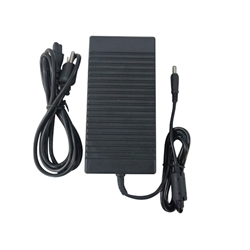 Description: New 150 watt laptop ac adapter charger & power cord. This is a 3 prong high quality aftermarket adapter. Before purchasing make sure that this adapter is the correct wattage. Some of the models below may need an adapter that is less or more watts depending on the specific model. Compatible Part #'s: PA-5M10, DA150PM100-00, ADP-1500BB, PA-1151-06D, R940P, J408P, 331-7224, ADP-150EB, N3838, N3834, W7758, N426P, KY894, KFY89, H1NV4, D8406, KFY89.